Starting a new method of dealing with waste requires a bit of planning and coordination. Choose an organized person, and (in larger settings) select a team made up of people from different departments to develop the most effective approach. Before you can decide how to divert the stream of recyclables, you need to understand the current volume of what is thrown away. In Georgia’s environmental management recommendations for office recycling, they suggest hiring an outside recycling consultant. Pratt Industries offers a “close the loop” program for businesses and organizations. Pratt will assist your company in developing and implementing a plan that will make recycling easy while promoting growth in employee participation. Visit our recycling division website or call 888-347-7288 for more information about this program. To achieve buy-in from all members of your organization, implement a highly visible education program, with a festive kick-off event. Bulletin boards can carry bright-colored reminders, and the team should conduct office meetings in order to answer questions and explain the program. Contests can be held between departments, with small rewards offered to the most successful group. Recycling is all about collecting and transporting materials, and success can hinge on having the right container located in the most convenient spot. 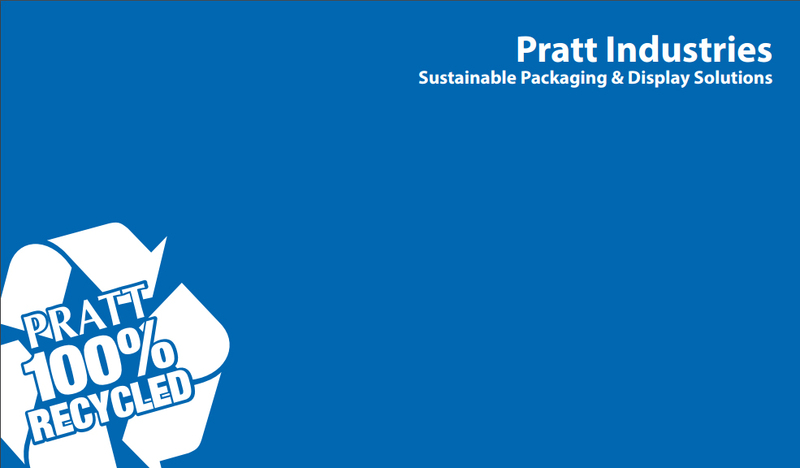 Pratt’s Corrugated Recycling Bins are large enough to accommodate significant amounts of any recycled material, and they are made from 100% recycled paper. Add a liner and you can re-use these sturdy bins again and again. 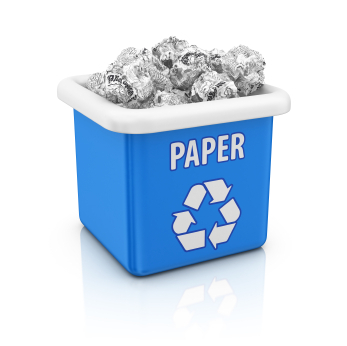 Making sure your office recycles its clean recyclable paper is not only a way to contribute to a healthier planet, but also an excellent way to reduce trash hauling costs and strengthen your business’s bottom line.